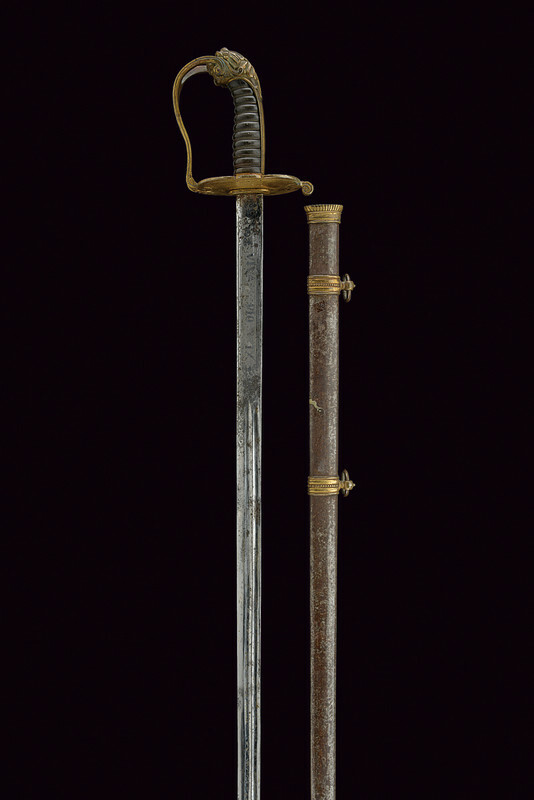 The sword featured here is part of the military weapons used by the papal Civic Guard in the third quarter of the 19th century. It is a straight blade, interlocked with a double groove in the midde. 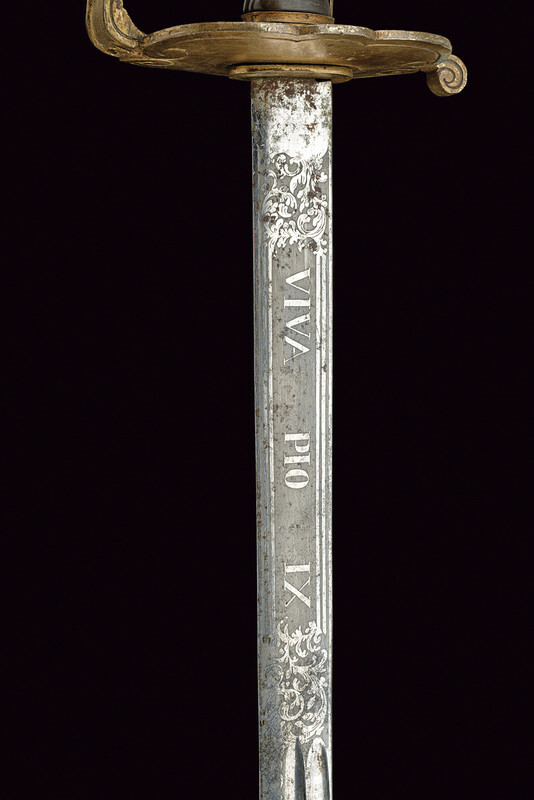 The flowered motto engraved in the center of the sword bears the motto, Viva Pius IX. The handle is referred to as a “lions head horn handle” with stranded steel wire. 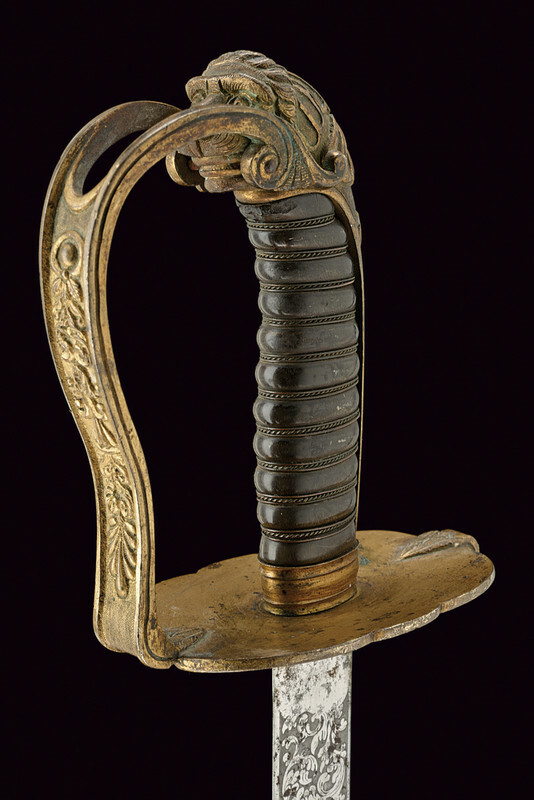 The “scabbard”–the protective case for the sword–has two bells on it and gilt brass mounts. 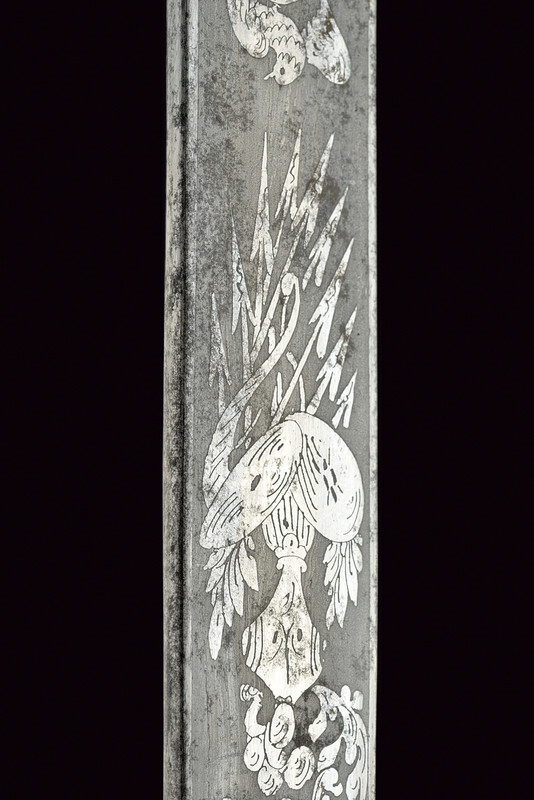 The sword and scabbard are in perfect condition, measuring 99 cm. in length, and are an example of the type of weaponry used in the Papal States to defend the territory owned by the Vatican. It is a valuable addition to the Papal Artifacts’ Collection.